Following a wild and raging storm, the Swiss family Robinson are stranded at sea. But the thundering waves have swept them off to a tropical island, where a new life awaits them. Their ship is laden with supplies and the island is packed with treasures, so they soon adapt and discover new dangers and delights every day . . .
With an inspiring introduction by American author and America's first children's laureate Jon Scieszka. Johann David Wyss (1743-1818) was, like the narrator of his famous story, a Swiss pastor who had four sons. 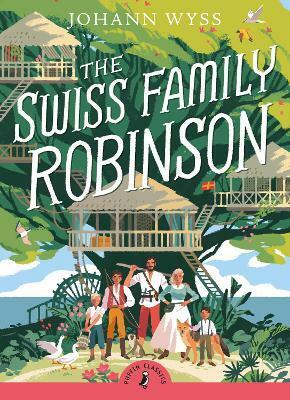 He is best remembered for Swiss Family Robinson which it is said was inspired by Daniel Defoe's Robinson Crusoe and which became an international classic bestseller.